Great Minds Consulting – Great Minds Consulting joins the Microsoft Partner & Cloud Network! 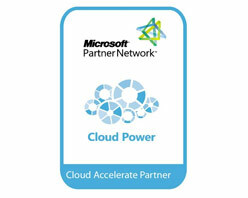 Great Minds Consulting joins the Microsoft Partner & Cloud Network! Great Minds Consulting LLC, today announced that it will begin reselling Microsoft Online Services, including Microsoft Exchange Online, Microsoft SharePoint Online, Microsoft Office Live Meeting, and Microsoft Office Communications Online, to provide customers with choice in how they leverage and consume their business applications. In addition to making Microsoft Online Services available for resale to its clients, Great Minds Consulting will also provide a full suite of consulting, deployment, integration and migration services to ensure that clients can smoothly implement and transitions to these new solutions.